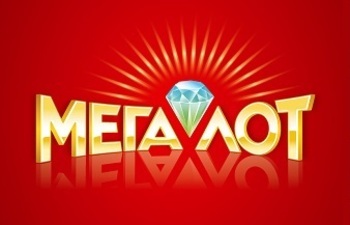 Ukraine Megalot is Ukraine’s biggest and most popular lottery game, and it offers some respectable potential payouts for what is a very cheap entry price. With a total of eight prize tiers, including some great secondary prizes, Megalot seems like a solid national lottery with a lot to get excited about. But is it worth playing overall? Read on as we find out below. 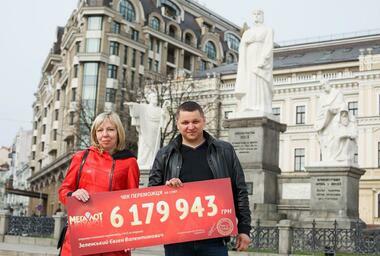 The Ukraine Megalot lottery was founded in 2001, but the company behind it, the government-run Molodsportloto (MSL), has been operating in the country for more than four decades. MSL became a member of the European State Lotteries and Totes Association, whose mission it is to ensure that all member lotteries are fair and transparent in their operations, in 1993. MSL is Ukraine’s sole official lottery company, and it has maintained Megalot’s simple format since the game was founded in 2001. A portion of the proceeds from Megalot go to supporting various charity efforts around the country. Megalot uses a 6/42 + 1/10 double-matrix format, which for lotto novices might seem confusing written like this, but how it works is fortunately quite simple: players choose (or have the computer randomly choose for them) 6 numbers from a range of 1 to 42 and a bonus number called the “Megaball” from a range of 0 to 9. Those who match all six primary numbers, which are chosen from one drum, and the Megaball, which is chosen from another drum, win the jackpot. While the odds of doing this aren’t easy (more on this later), players can purchase up to 10 extra bonus numbers (at a cost of approximately €0.03 per number) to significantly increase their chances of winning the jackpot, third, fifth, and seventh-tier prizes—an option that is unique to Megalot. However, the bonus balls won’t help you win the secondary prize—known as the Megapriz—since that one is won by matching only the six primary numbers. On that note, one of the best things about playing Ukraine Megalot is how very cheap it is. You can get five plays, the minimum number allowed for a valid play, for roughly €1—which is almost unheard of in the lotto industry. Therefore—at least when buying your official tickets within Ukraine—you could get the maximum amount of numbers for roughly €1.30. How’s that for value? 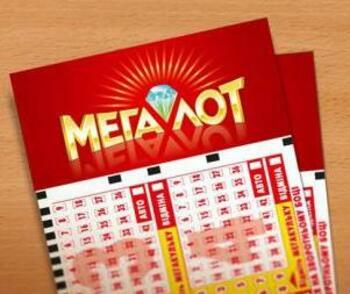 Megalot is also a rollover lottery, meaning its jackpots roll over from draw to draw if nobody wins them. Though there is no cap on how many times the jackpot can roll over, the Megalot jackpot amount has never grown to any truly outstanding amounts. But considering how tough the odds are, this is a bit … odd (pun completely intended). Let’s face it, the odds of winning the Megalot jackpot aren’t great. While 1 in 52,457,860 is by no means terrible for a national lottery, when you factor in that the jackpots are quite small—the biggest so far didn’t even reach half a million euros—the odds seem unnecessarily difficult. Let’s compare the odds of winning Megalot to some other popular lotteries that are played domestically and online. EuroJackpot odds are 1 in 95,344,200, which are certainly much more difficult than Megalot’s. However, EuroJackpot’s jackpot cap is €90 million, an amount that is in a completely different stratosphere. Meanwhile, the Polish Lotto and Canada Lotto 6/49 lotteries both offer odds of 1 in 13,983,816, and both have substantially larger jackpots and secondary prizes. The same can be said about France Lotto (odds of 1 in 19,068,840), Swedish Lotto (1 in 6,724,520), and Austria Lotto (1 in 8,415,060). While comparing Megalot to the competition doesn’t make its odds look very fair, it’s important to remember that you can definitely tilt things in your direction by stocking up on the inexpensive tickets and extra Megaballs for whatever draw(s) you’re thinking about entering. Therefore, even though the prizes and odds of winning are not super exciting, this somewhat makes up for it. Ukraine Megalot’s draws are held at the MSL headquarters in Kiev, Ukraine, on two different nights each week: Wednesday and Saturday at 8:50 pm EET. While this might turn off some players, remember again that you can greatly improve your chances of winning by buying extra Megaballs. Prizes are awarded in lump-sum cash payments—no annual payment option offered here—and must be claimed within 180 days from the date of the draw. Despite already being quite small, prizes are also taxed at 16.5%. While this may seem like a pretty hefty amount, up until 2015 winners used to be taxed several times, so at least things are much fairer in this regard now. If you are playing from another country, your country’s tax laws may require you to pay taxes as well, so make sure you look into this if you’re not sure. If you’re reading this article, we’d wager it’s extremely unlikely that you’re currently in the Ukraine or going there any time soon. Luckily, there is an easy way to play Ukraine Megalot online if you want to try your chances at winning one of its decent jackpots: online lottery sites. What lottery sites do is give players from most of the world’s countries a shot at either playing other countries’ lotteries officially or betting on their outcomes. Many offer features such as syndicates and subscriptions that make it more convenient to play and easier to win. For example, depending on the amount that you’ve won, they can claim prize money on your behalf and automatically deposit it into your account so that you don’t need to travel anywhere. How’s that for convenience? Ukraine Megalot – Is It Worth Playing? All in all, Ukraine Megalot is a decent lottery. Entry tickets are extremely affordable, and the fact that extra Megaballs can be purchased to improve your chances of winning is a really interesting and appealing feature of the game that we’ve not seen anywhere else. That being said, there are other lottery games out there to play that feature notably bigger jackpots and/or better odds of winning, and they’re tax-free as well. Therefore, while the only way to see if you will win the Ukraine Megalot jackpot is by actually playing the game, in the end we feel you would be better off spending your money elsewhere right from the start. I can understnad why pepole play this lotto if there in Ukraine but to play on-line that makes no sense to me. Awful jackpots and odds.